When you work in concrete pumping and construction, it pays to have equipment that offers the versatility and performance you need to tackle a variety of jobs efficiently. 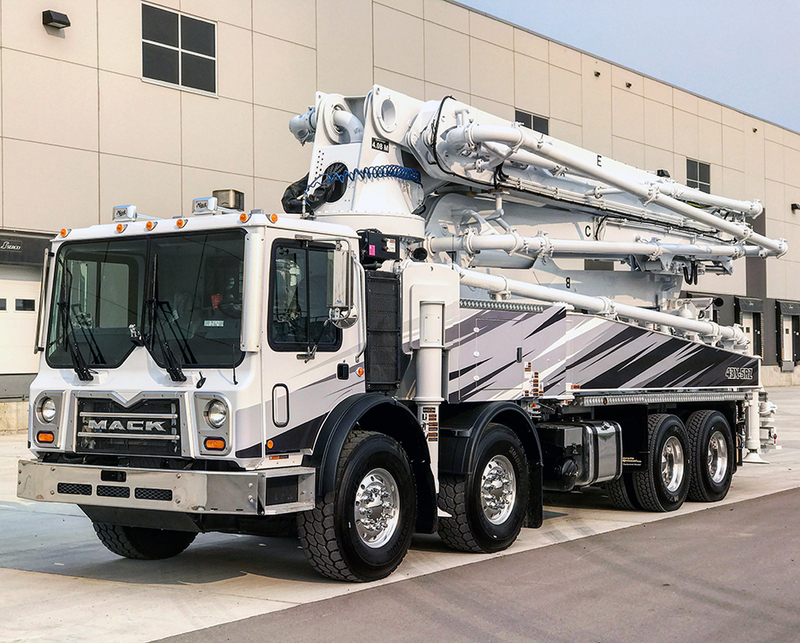 When you’re looking for a solution for both residential and commercial projects, an RZ 43-meter concrete boom pump is a must-have for your fleet. 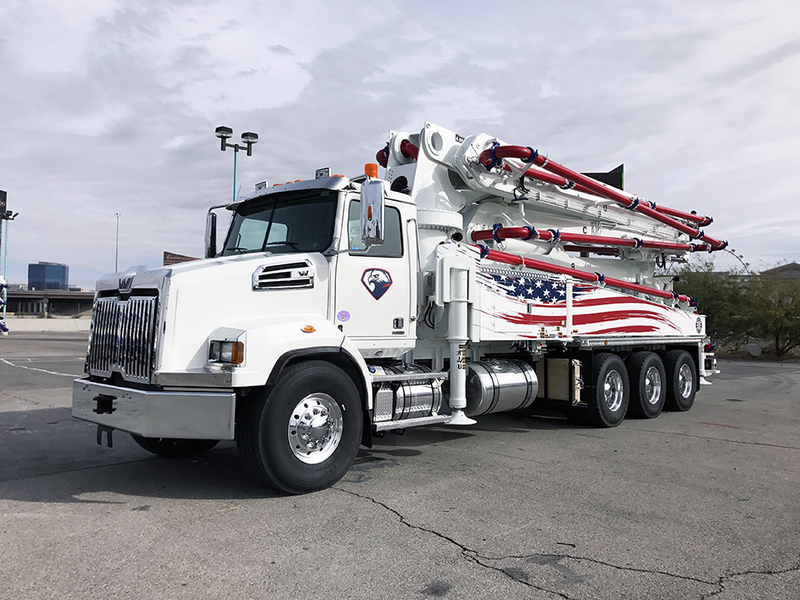 DY Concrete Pumps Inc. has been meeting the needs of customers throughout Canada and the United States for more than 30 years. Our experienced team will assist in analyzing your projects to identify the RZ boom concrete pumps, parts and accessories required to maximize your productivity and improve your bottom line. Our RZ-fold concrete boom pumps are available in light- to medium-weight units providing the mobility to navigate high-traffic job sites, busy urban areas and quiet residential neighborhoods. The five-section boom design and continuous swing pedestal offers the flexibility to reach into tight spaces and is ideal for high-volume indoor pouring. Commercial Use: The RZ boom pump offers the best Z-type or roll and fold units have to offer. Our 43-meter concrete boom pump is ideal for commercial jobs where you’re required to pour concrete into mezzanines, beneath beams and into upper-level walls and columns. It’s an exceptional choice when you need to reach over and under multiple obstacles such as trees, branches and power lines, as well as for pouring in structures where there’s only a small opening, such as a window or narrow door. Residential Work: Our 43-meter boom pump more than pays for itself on residential jobs by delivering improved speed and accuracy, as well as a cleaner, quieter and more organized work environment. 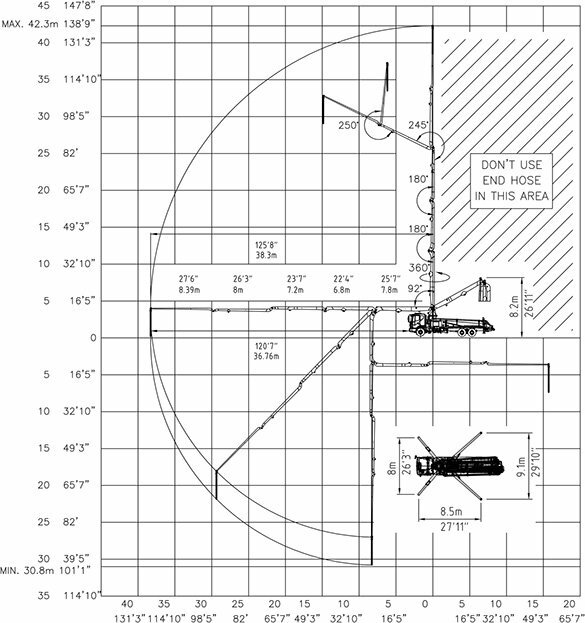 The five-section RZ boom pattern extends further into buildings for more efficient delivery of concrete, whether you’re finishing a basement floor or pouring into second-floor wall forms. Our truck-mounted pumps eliminate the need for using messy and inefficient traditional mixers and buckets that tend to get stuck in soft earth and require far more manual labor. At DY Concrete Pumps, we’re “Taking Utilization to a New Level!” Experience the difference of purchasing from a trusted source of productive and reliable equipment. Contact us online today for more information, or to request a quote on a 43-meter RZ concrete boom pump.